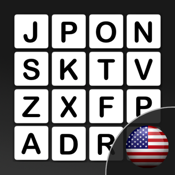 Wozzle is a word game that can be used both for fun and learning. Find as many words you can on time and get points for each word. Longer words gives more bonus points. After the game completes you can enter your name so you can compete with friends and family to get the best result. The game does not require any registration or internet access.